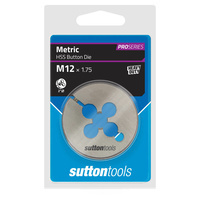 Sutton Tools Pro Series Button Dies are used for cutting a new male/external thread on studs. 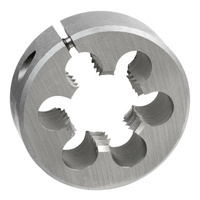 Made from High Speed Steel. 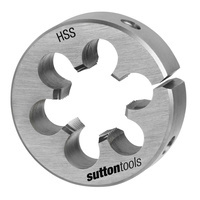 Suitable for cleaning existing threads in tough applications. 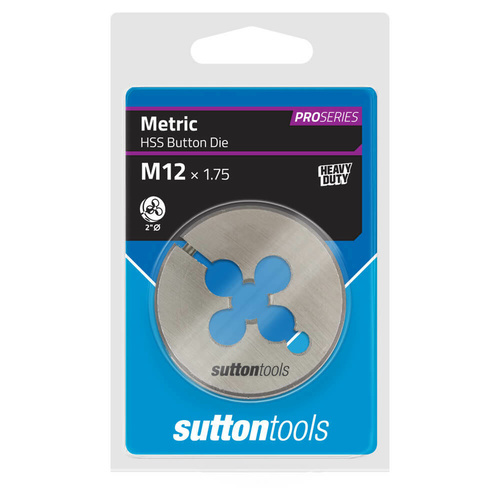 Produce more accurate threads than carbon dies.